Choose From Our Collection of Homepages. 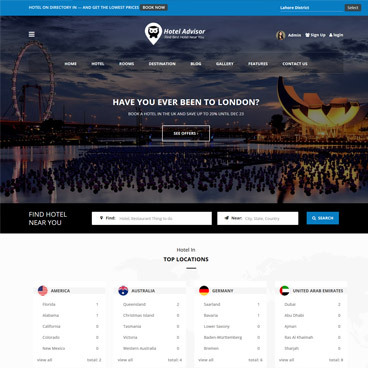 Hotel Advisor come with 6 beautiful & easily importable homepages to help you set up and launch your Hotel Directory & tour website as fast as possible with complete ease. 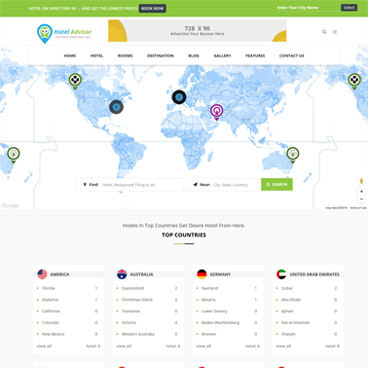 It helps you to become the hotel advisor with in few hours you can set up the site easily. 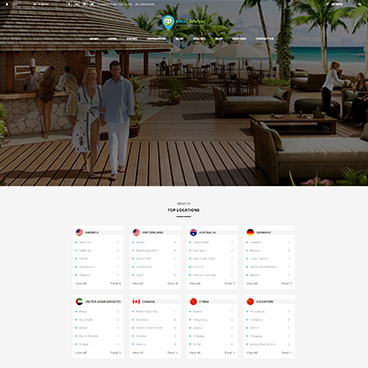 Hotel Advisor layouts are unique with different with more than 10 headers styles variation. 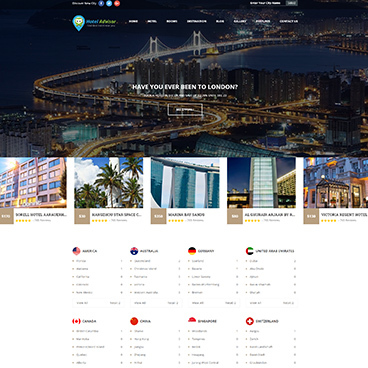 It also presents you the wonder full different hotel listing styles where you can show the hotels and there rooms. Hotel Advisor also gives you the destination and hot deal offers for your site. Hotel Advisor also gives you an amazing collection of practical inner pages to choose from. All you need to do is choose the pages you would like to use and easily customize them to your specific needs. In addition to full responsiveness, Hotel Advisor is also ready for high-density retina displays, and comes with font awesome and SVG icons that provide a fast, crisp, and top-quality experience. Set up a mobile-ready site today. Now here is the exciting part where the Hotel Advisor gives you the best flexible feature all control over the site. To set up the site all the options are provided in the theme for your ease. 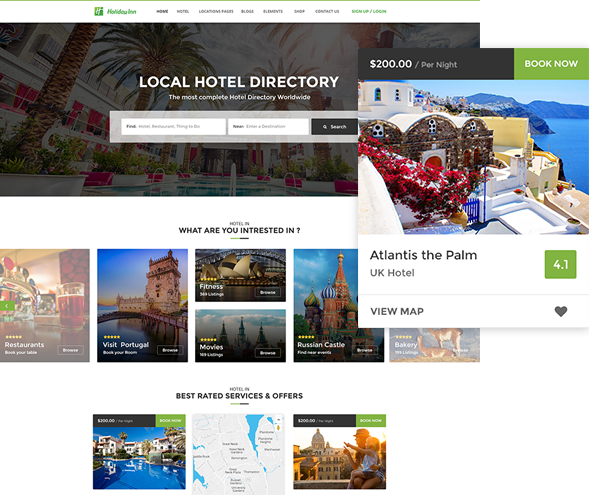 Ready for Hotel advisor Directory? 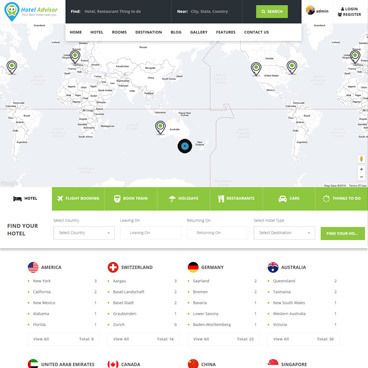 Buy Hotel Advisor today and set up your Hotels and tour website within minutes. 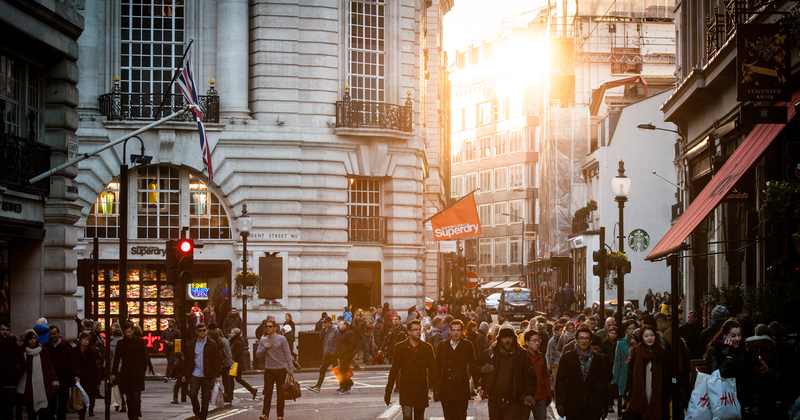 Import a demo and easily modify it to your specific needs. 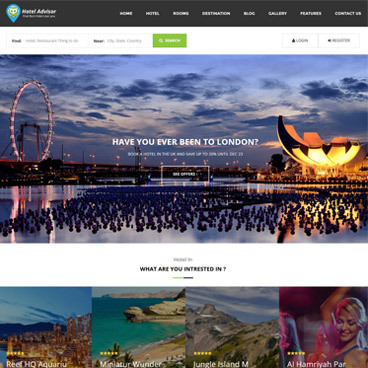 With Hotel Advisor, website creation becomes simple, fun, and fast.